Would you? 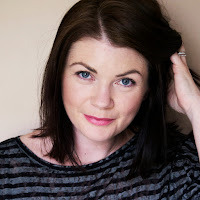 I know that patterned carpet is hardly a new thing, but it's not been particularly en vogue in recent years, except for perhaps stripes on stairs, which is not my style, so that was never an option for me. 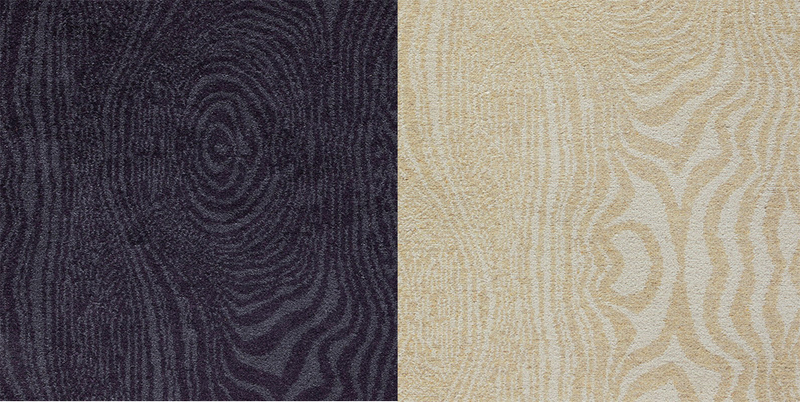 But recently I've spotted a few patterned carpets (to clarify, I'm talking about fitted carpet - not rugs) that have really intrigued me. Some subtle, some not so much, and I started to wonder if I would consider patterned carpet over plain when the time comes to replace our (very-knackered-should-have-been-replaced-five-years-ago) carpet. And the answer was a big, resounding, YES! These animal prints could either look super tacky, or absolutely amazing. I like the fact that they're totally Marmite, and definitely not for the faint of heart. I love the Antelope designs. Actually, come to think of it, I rather like all of them. I've seen animal print carpets pop up a few times on Instagram and Pinterest - looking super cute in a kids playroom and dramatic on stairs. They really caught my eye, and then weirdly, as is often the case, I stumbled upon a supplier without actually looking, so I took it as a sign that I needed to spread the good word. 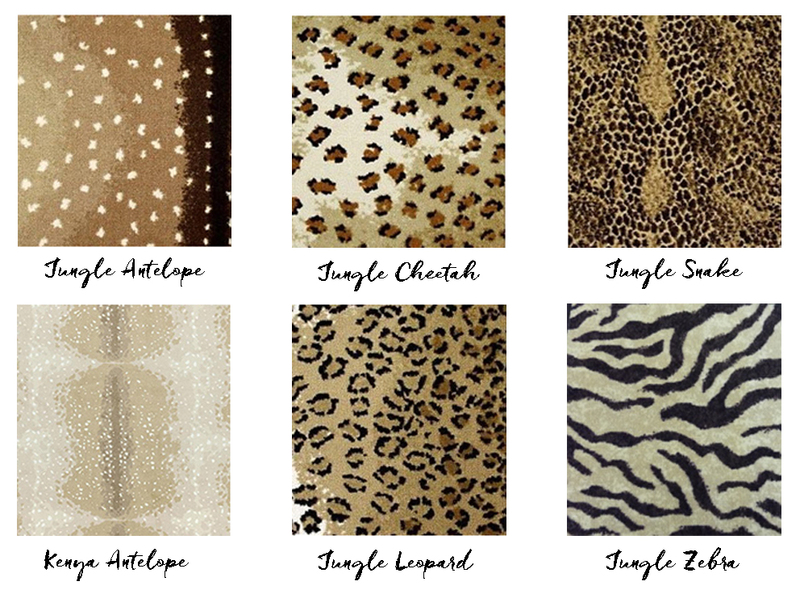 All the carpets above are from Animal Print Carpet (clue's in the name), and range in price from £20-£70 a square metre. They're all Nylon, with the exception of the Kenya Antelope which is a wool mix. 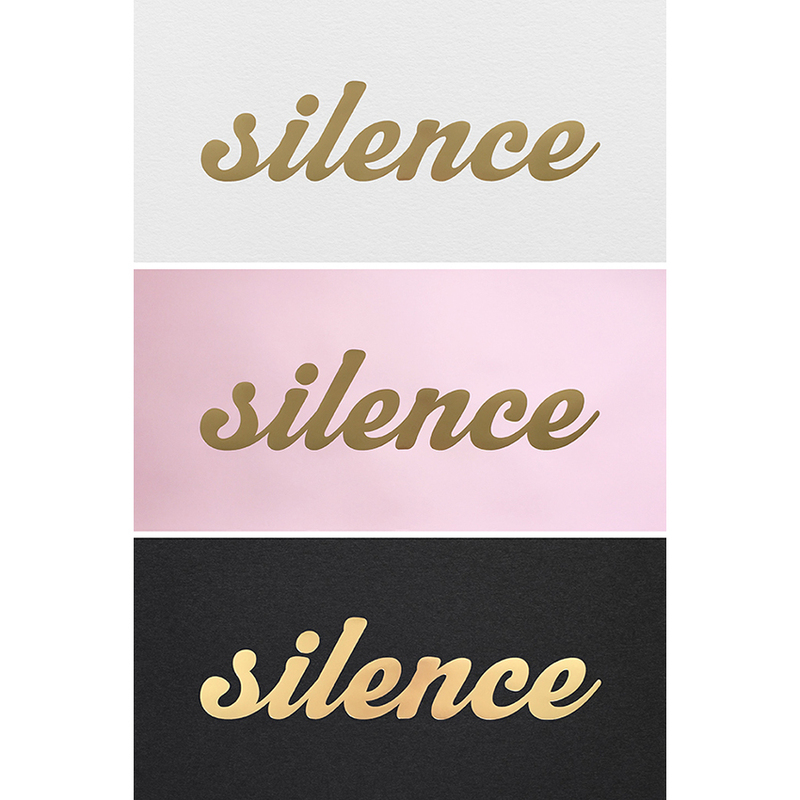 Of course that one is my favourite. This is an example of Antelope carpet done oh so right, in the fabulous home of Nicole Hanley Mellon as featured on Vogue.com. The Kenya Antelope design above is a pretty close match. 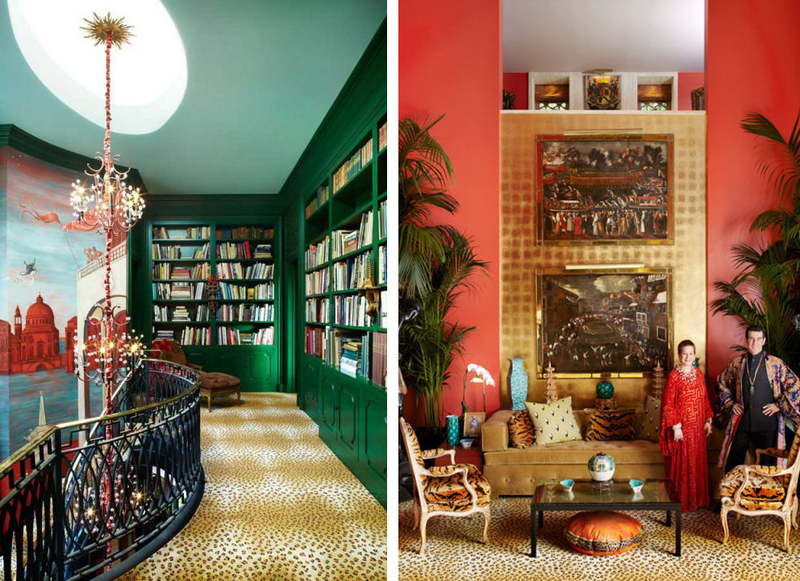 And how about this leopard print carpet in the completely over the top but stunning home of Hutton Wilkinson. That Emerald green cabinetry with the leopard carpet and aqua ceiling. W O W ! Now I realise that this may all be a little too much, and no, this is not an April Fool's joke, so stay with me. 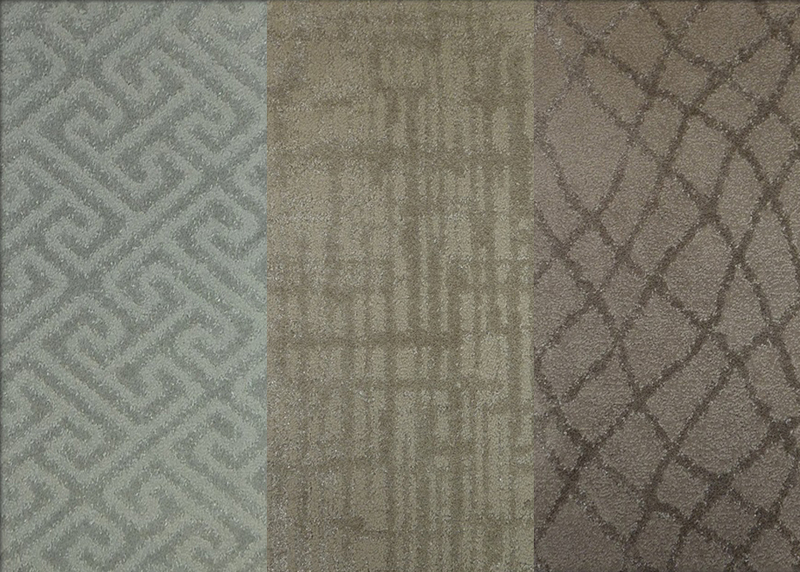 If you like the idea of a patterned carpet, but couldn't live with animal print, how about a more subtle textured look? And finally, I'll leave you with this Grain Du Bois offering from Timourous Beasties for Brintons. I'm in love, and I don't think there's a hope in hell that I'll be considering a plain carpet any time soon! Have you been to the Rio cinema in Dalston? The carpet there is my favourite ever,grey and black leopard print. Adam here from Animal Print Carpets and Fablon. Many thanks for your write up, we are just Wild about our animal prints and crazy about the super cool patterns from Fablon... a new patterned era is upon us!